Philadelphia, Pennsylvania, has been home to many teams and events in professional, semi-professional, amateur, college, and high-school sports. Philadelphia is one of twelve cities that hosts teams in all four major sports leagues in North America, and Philadelphia is one of just three cities in which one team from every league plays within city limits. These major sports teams are the Philadelphia Phillies of Major League Baseball, the Philadelphia Eagles of the National Football League, the Philadelphia 76ers of the National Basketball Association and the Philadelphia Flyers of the National Hockey League. 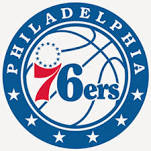 Each team has played in Philadelphia since at least the 1960s, and each team has won at least one championship. Since 2010, Philadelphia has been the home of the Philadelphia Union of Major League Soccer which plays in suburban Chester, Pennsylvania, making the Philadelphia market one of nine cities that hosts a team in the four major sports leagues and the MLS. Philadelphia hosts several college sports teams, including the Philadelphia Big 5 schools and Temple's Division I FBS football team. Many of these teams have fan bases in both Philadelphia and the surrounding Delaware Valley. In addition to the major professional and college sports, numerous semi-pro, amateur, community, and high school teams play in Philadelphia. The city hosts numerous sporting events, such as the Penn Relays and the Collegiate Rugby Championship, and Philadelphia has been the most frequent host of the annual Army-Navy football game. Philadelphia has also been the home of several renowned athletes and sports figures. Sports are a huge part of the culture of the city (and throughout the Delaware Valley). Philadelphia sports fans are considered to be some of the most knowledgeable fans in sports, and are known for their extreme passion for all of their teams. Philadelphia fans are also known for their reputation of being the "Meanest Fans in America".